Origin: Kudzu was first introduced to the southern US in the late 1800’s as an ornamental plant to shade porches. In the early 1900s, farmers were encouraged to plant kudzu for erosion control and in the 1930’s the Civilian Conservation Corps (CCC) planted thousands of acres of it along hillsides for that same purpose. Kudzu wasn’t recognized as an invasive species by the USDA until 1953. Species Profile: Kudzu is a perennial, semi-woody, climbing vine that can reach up to 100 feet in length! Kudzu leaves are compound (i.e., made up of three separate leaflets) and are oval to heart-shaped. In the late summer, vertically growing stems produce fragrant purple flowers that are followed by the production of hairy, brown, flattened seed pods. Kudzu can grow up to one foot per day, which makes it capable of outgrowing almost anything! This fast-growing plant competes with native trees and plants for sunlight, water and nutrients from the soil. Note the leaves are in clusters of three, photo courtesy of Shawn Gorman, Friend of Old Croton Aqueduct. Roughly 2 million acres of forests in the southern US are covered with kudzu! Let’s prevent this from happening in NY. If found, please report findings to iMapInvasives. Take note of your location, photograph the species and then upload! A dense stand of kudzu along the Old Croton Aqueduct State Historic Park, photo courtesy of Shawn Gorman, Friends of Old Croton Aqueduct. Dense stands of kudzu along the Old Croton Aqueduct State Historic Park in Yonkers were removed in 2016 by State Parks Invasive Species Strike Team, photo courtesy of Shawn Gorman, Friends of Old Croton Aqueduct State Historic Park. State Parks Invasive Species Strike Team removes kudzu along the Old Croton Aqueduct State Historic Park, photo courtesy of Shawn Gorman, Friends of Old Croton Aqueduct State Historic Park. Reminder: Poison ivy is another species with three leaflets, so be sure to brush up on your plant ID before handling these species. Click here to learn more about kudzu. Does Parks do Invasive Species Work in the Winter? One might think State Parks’ Invasive Species Staff are sitting around with their feet up, taking a break from the relentless tasks of the summer field season. That’s not at all the case. Winter months are filled to the brim with “To-Do” Lists. The seasonal break in the field season allows for more office related tasks, such as wrapping up the previous field season, checking data for quality control, working with volunteers, and prioritizing, planning, and preparing projects for the upcoming field season. These tasks require significant collaboration with other Park staff, NY Natural Heritage Program (who provides data and advice on protecting rare species and natural communities) and other agencies involved in invasive species management. But putting in the effort and office time early in the season truly pays off to make for a successful field season. 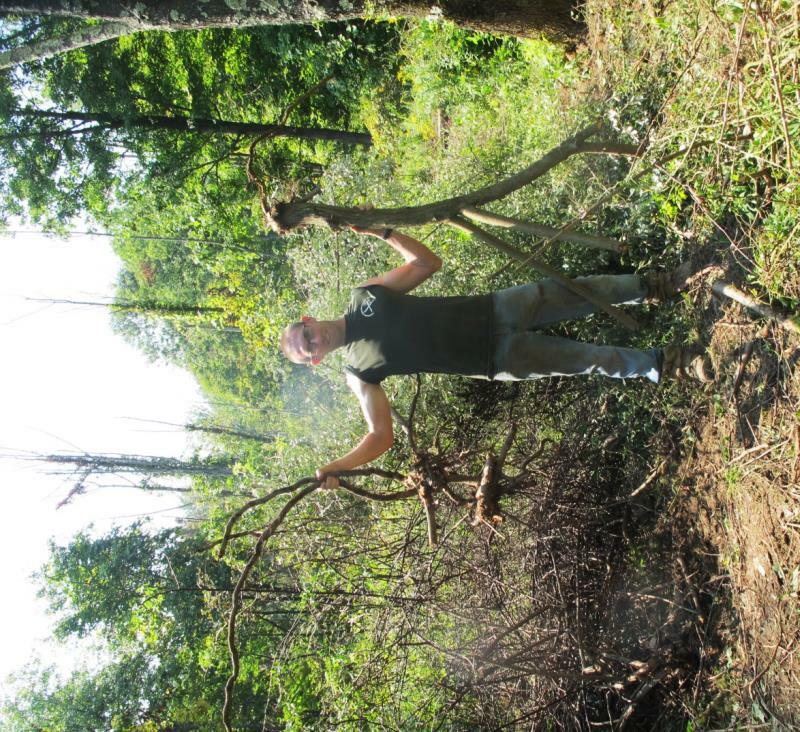 For the summer of 2015, we had two Invasive Species Strike Teams and one Forest Health Specialist Team working on State Park lands. The two strike teams each covered half the state, the Eastern Team covering from Long Island to Lake Champlain. The Western Team covered the State Parks west of the Binghamton-Syracuse line. The Forest Health Specialists also focused on Western NY, coming as far east as the Finger Lakes Region. Check out what we accomplished this past year! That is a lot of effort, both on the planning end, and by our hardy crew members! Without the hard work and commitment to excellence of our seasonal staff, the program would accomplish only a tiny fraction of our goals. Their eyes on the ground keep us informed of the details of each treatment area and provide us with feedback on the success or any recommendations for further actions. We listen closely to feedback from the crews and other Parks staff and partners to continue to improve and strengthen the Invasive Species Program each year. So even though there is snow on the ground and temperatures are cold, we are still working on invasives issues and preparing for what we hope to accomplish in the upcoming field season. 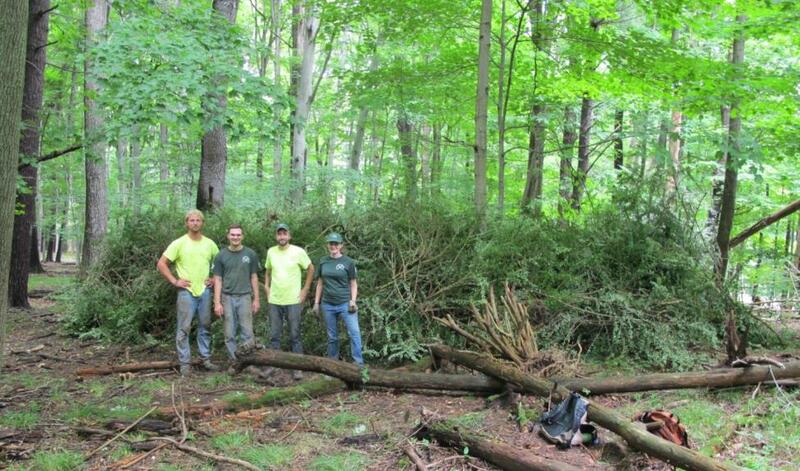 For more information on the State Parks Invasive Species Strike Teams, see this blog post. 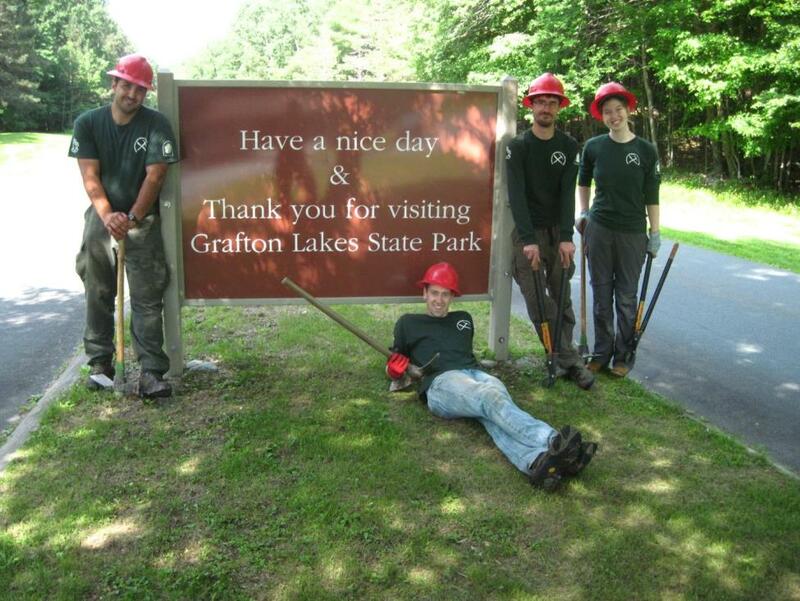 For more information on the State Parks Forest Health Specialists, see this blog post.